Nestled high on an outcropping in Logan Canyon, Old Jardine, stands to watch over the needled forest and meadows below. For over 1500 years, she has reigned. The trail to reach her slowly rises from the canyon floor, winding through grasses dried from the summer and climbing into the cool forest’s shade to reach her down a series of sandy switchbacks. 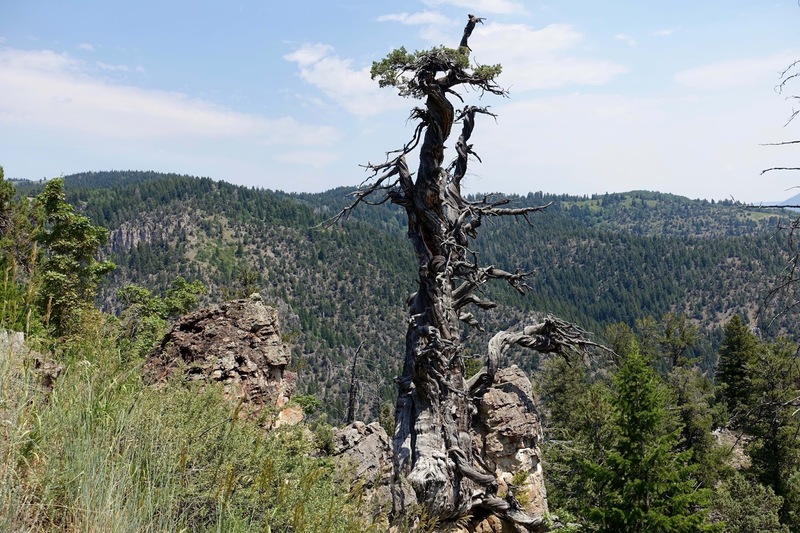 Jardine’s bark is grooved with wind and smoothed by time, only her crown the rich green of a living, breathing juniper. Unknown to us is her wisdom, but it is felt nevertheless. This Tree Story was contributed by Diantha Williamson. Thank you. Do you have a tree story to share? Send your story to education@treeutah.org.